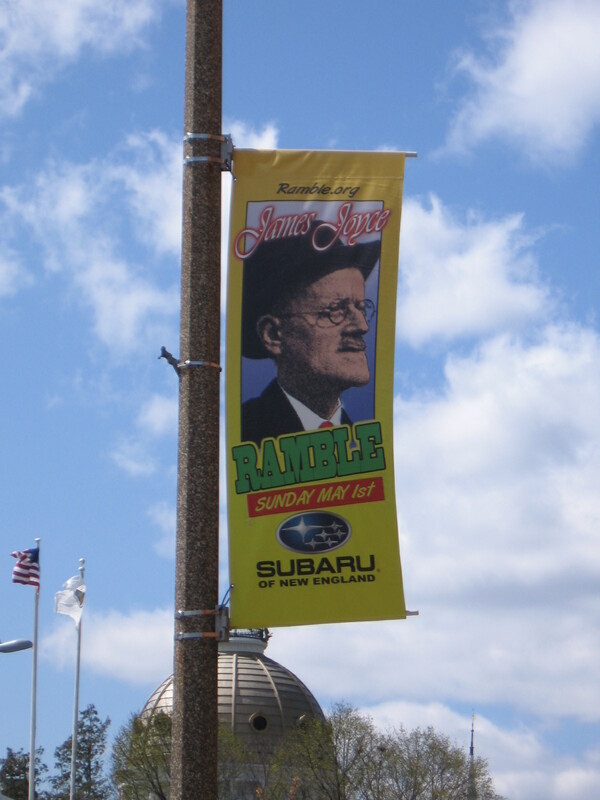 This Sunday will be my second James Joyce Ramble Road Race in old Shiretown. Oh, I won’t be running; my running days ended when I was struggling up a hill in a corporate “Fun Run'” in Boston and got passed by a guy dressed as a bag of Smart Food. I will be pitching my tent on the lawn of the Endicott Estate and peddling my wares- copies of Dedham: Historic and Heroic Tales from Shiretown as well as some attractive Dedham notecards. So come on by and say “hi,” get your Mother’s Day shopping done, and find out about my latest book project! This entry was posted on April 28, 2011 at 8:54 pm and is filed under JP's Dedham. You can subscribe via RSS 2.0 feed to this post's comments. You can comment below, or link to this permanent URL from your own site.